Police Commissioner in thick glasses speaking to the manager of the hydro-electric dam in Northern Japan that Godzilla has just ravaged. Cue Mothra from stage left, the giant Peacock Moth, pooping radioactive bombs that dissolve concrete. This is a continuation of Doughnuts for Amy which ended with the two central characters falling in love. Chef Nick has left Woodmont Retirement Community and is busy being a surrogate Dad to the two young girls of Amy Sommers. He is drawn back to Woodmont because Amy believes one of the residents has been murdered. Since the victim is almost 87 years old there is little interest from the police, only Amy’s nagging suspicions and the sharp intellect of Woodmont’s former Executive Chef. My second novel was going to be unrelated to Doughnuts but I received a lot of requests for part two of this story. So I would say the idea came from the readers of Doughnuts for Amy. Women’s Fiction. It’s a love story with a little murder-mystery thrown in. For Nick St. Germaine I believe Mark Wahlberg has the physicality, the range of emotions and the rugged good looks. Plus I think he would look good in a chef’s coat. 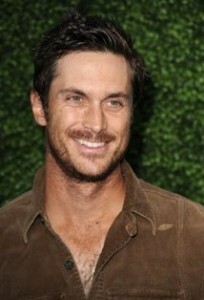 My wife really likes Oliver Hudson who plays Adam in Rules of Engagement. For Amy Sommers I think Amy Adams would be perfect. I adored her in that goofy Enchanted and she also starred opposite Mark Wahlberg in The Fighter. She really sinks her teeth into a role. And of course Betty White to play Doris Peters. Doughnuts for Amy was self-published and it was very successful. I read that the average self-published novel by a first time author sells less than 50 or 60 copies; I think I sold something like 3,000 copies of Doughnuts and when it was free over Memorial Day weekend I gave away almost 30,000. Yet I really want to take the next step and get published and would love to have a publisher pick up Doughnuts and Murder for Amy at the same time. We’ll see. Three years as Executive Chef at a gorgeous retirement community, twenty years as a chef/cook/restaurateur and a keen eye for observation. In this scene Nick, who has not worked at Woodmont in a couple of months, has brought lunch to Amy; she is in the middle of an incredibly busy day and can only devote ten minutes to their lunch. One of her challenges is that a resident, Jim Murray, is near death. Jim is dying of Alzheimer’s and has no family in town so Amy has asked for volunteers to spend at least ten minutes with him holding his hand so that if he does die before his family arrives, at least he won’t die alone. Nick volunteers to spend ten minutes alone with him and he makes his way to Woodmont’s memory care unit and quietly walks into Jim Murray’s room. He runs into Franklin and later the head nurse Penny Rhodes, his confident. Nick is a widower, his first wife Robin was killed three years prior in a car crash. He lightly knocked on the door, gently pushed it open and heard Franklin whisper “door’s open.” The lights were dim and the window blinds were closed but Franklin quickly recognized Nick. “Hey chef, man it’s good to see you.” He whispered. Franklin was seated on the opposite side of the bed. He held out the knuckles of his left hand and Nick responded with a bump. Franklin squeezed Jim Murray’s. Jim was in his late 80’s. He was tall, six feet two inches and his thin yet shaggy grey hair was matted. He was obviously in pain, his body was twisted and his formally sparkling eyes were now as grey and cloudy as a December sky. Franklin had his right hand in a surfer’s handshake. Jim gasped, his mouth searching for words that his brain had forgotten how to create. Nick reached for his other hand and held on as Jim’s fingers clasped tight. Franklin softly patted Jim on the cheek and exhaled. Franklin released Jim’s hand, walked to the other side of the bed and patted Nick on the back as he walked out the door. Nick sat down as Jim twisted, arching his back as if the bed was hot, his mouth gaped open as his body struggled to remember the process of breathing. Jim’s grey eyes were wide open and searching but didn’t register or acknowledge anything. His mind had already died but his body hadn’t caught up. Nick exhaled and shook his head. If death had to come so soon to Robin, at least it was quick. The pain of watching someone die and suffer through this much agony could have been unbearable. Jim’s grip suddenly tightened as his body went through another round of contortions. Nick looked away and held on, took a deep breath then quietly asked God for strength. He looked back at the unblinking eyes of Jim Murray then whispered, “Yea though I walk through the valley of the shadow of death I will fear no evil, for thou art with me, thy rod and thy staff comfort me. Thou prepare a table before me, anoints my head with oil, my cup runneth over.” He took a deep breath and looked around then squeezed Jim’s hand. “Sorry pal, wish I knew the whole thing but if you like I can just repeat the lines I know.” Jim twisted and his knees slowly rotated and the sheet slid off. Nick grabbed the white cloth as it headed towards the floor and Jim’s lower body was exposed. Nick carefully pulled the sheets back over his emaciated frame. As the dementia took over, it had become almost impossible for Jim to eat, he had lost his natural reflexes including the ability to swallow and the family had asked that he not get any intravenous sustenance, only what was medically necessary. Consequently Jim’s frame had withered, his ribs were exposed and his stomach cavity sank into his internal organs. Nick thought that perhaps he recognized the outline of the man’s liver as he reached for the sliding sheet. “Good Lord, how does this happen?” Nick held onto Jim’s hand as he tried his best to cover the man’s body. His legs were literally skin and bone and yellow skin at that. His liver had obviously failed and was dumping yellow bilirubin into the bloodstream which settled in the tissue below the surface of the skin. Nick’s stomach turned and he was reminded of the black and white photos of Jewish prisoners in the concentration camps of World War Two. “Yea though I walk through the valley of the shadow of death I will fear no evil, thy rod and staff comfort me, thou prepare a table before me. The Lord is my shepherd, yeah that’s how it starts, the Lord is my shepherd, I shall not want, he makes me lie down in a pasture, a green pasture, he leads me down the right path and though I walk through the valley of the shadow of death I will fear no evil, thy rod and thy staff comfort me, thou prepares a table before me, filled with all of the wonderful things this man hasn’t been able to enjoy in a long time such as chocolate chip cookies with a bit of cinnamon, French toast with real maple syrup and local strawberries, Haagen-Dazs rum raisin ice cream, cornmeal fried catfish, aromatic French cheeses, a fat hamburger with Vermont cheddar cheese, a warm baguette with soft butter and a sprinkle of sea salt, and Pinot Noir from Oregon.” Nick smiled and squeezed Jim’s hand who answered by arching his back and gasping for air. Jim’s face turned to Nick, his vacant, grey eyes looked right at him. “Jim, uh maybe you can understand and maybe not but if you can.” Nick’s eyes quickly moistened and he wiped his eyes on his shoulders. “Uh, but if you can I, uh, would you uh, tell my wife that I miss her. I’ll say a prayer and ask God to see if she can’t meet you up front, you know, sort of like a hostess. She always liked that, being up front.” He wiped his eyes again and looked for a tissue. The box was on the other side of the bed. “No, I told Miss Sommers I would hold your hand and I’ll do just that.” Jim squirmed and gasped, wet gurgling sounds came out of his mouth as he inhaled. “You’ll recognize her easily,” he quietly sobbed, “she’s almost six feet tall and has long blonde hair and her eyes sparkle like Tiffany glass.” He wiped his eyes with his left hand. “Tell her I miss her so much and apologize for me because I, uh, because I fell in love again. I hope she can forgive me. I was so lonely.” He wiped his eyes again with his shaking left hand and cursed himself for getting so upset. “Come on Nick, pull your damn self together.” He carefully held onto Jim’s hand and tried to work his way to the other side of the bed, the box of tissues grew closer. Jim twisted and writhed as his left arm fought back. Nick carefully retreated and softly apologized. He wiped his eyes with his hand. Someone knocked lightly on the door and Nick quickly pulled his shirt up to his eyes and tried to compose himself. “Come on in” he softly said. “Oh, hey Penny, how ya doing?” He looked away then wiped his eyes and hoped that in the dim lighting Penny wouldn’t notice. Penny walked in and smiled hello, hesitated then walked to the other side of the bed, picked up the box of tissues then walked back and stood next to Nick as she placed the box on Jim Murray’s nightstand. Nick whispered “thank you” then helped himself to three or four tissues. Penny stood on his right and lightly scratched his back with her left hand. “No, I’m fine Penny, I’m sorry.” He drew a deep breath and reached out for Penny’s hand with his free hand and squeezed. “Anyone for a game of Twister?” She squeezed his hand then let go and moved to the other side of the bed then took Jim’s free hand. “Well those two needed a man in their life, especially one so humble.” Nick chuckled and shook his head. Jim twisted, gasped and squeezed Nick’s hand so hard that he flinched. He was suddenly uncomfortable but wasn’t sure why. Penny was inviting him to pass away but it sure seemed as if Jim had other ideas. Penny drew a deep breath and looked carefully at Nick. “Nick are you, um do you, when you’re with Amy, when you’re laughing and enjoying life, are you ashamed or maybe feel guilty?” Nick exhaled loudly and looked towards the window, counted the slats in the blinds then turned back to Penny. Jim gasped loudly, writhed and arched his back then turned to Nick as he inhaled loudly. “If I can ever do anything for you or if you ever need someone to talk to you know I’m always here for you.” Penny let go of Jim’s hand, walked to the other side of the bed and hugged Nick. He whispered thank you. Great blog John. 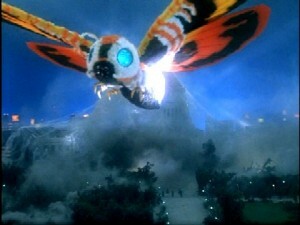 Love your Mothra opening and excerpt. You’ve got me hooked and I don’t usually do that! Keep writing, we need more of what’s in that brilliant head of yours, including the chocolate and aromatic French cheese. Love your take on the “next big thing!” And I’m intrigued with your follow-up of Doughnuts for Amy with Murder for Amy. Cool idea!